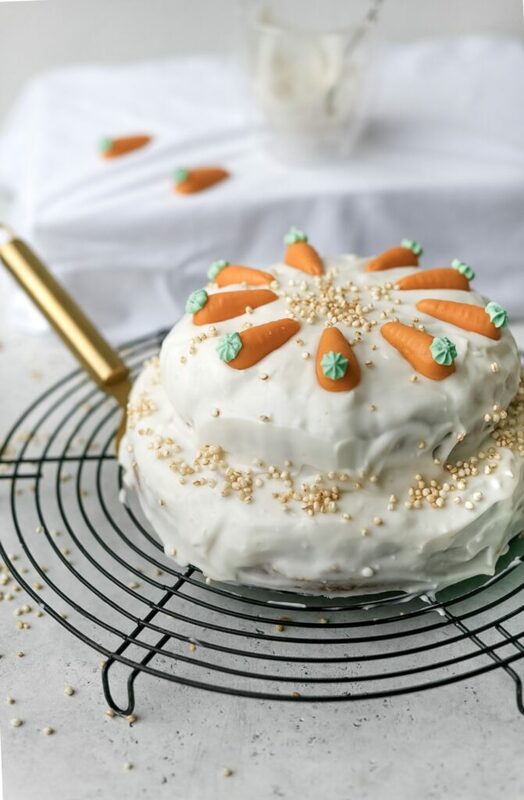 Moist, rich vegan swiss carrot cake with a wholesome flavor and hidden veggies. Topped with lemon cream cheese and marzipan carrots. I only recently learned that I really enjoy carrot cake next to lemon and chocolate cake. It’s my dad’s favorite cake and he usually enjoys one once a year. This year, I tried to make my own, without butter and eggs. And tada, success! 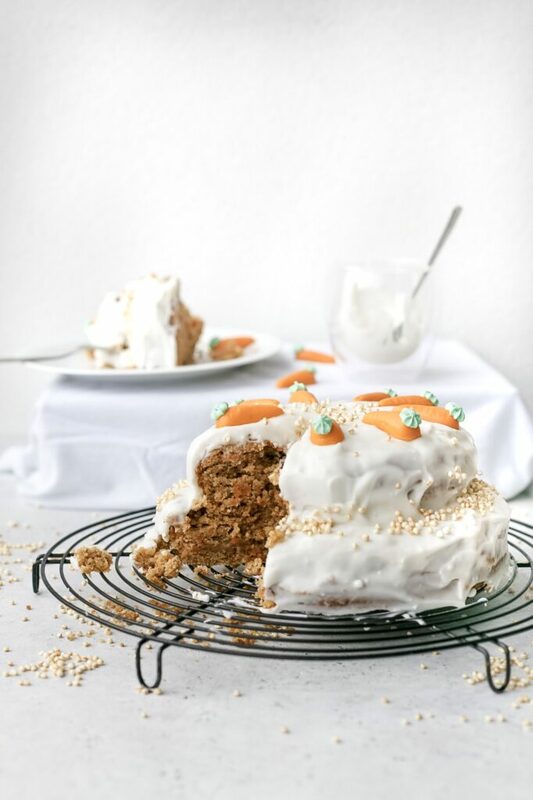 Did you know that carrot cake is a Swiss traditional called “Rüeblichueche”? Well, to be honest, I never thought I’d say this but this healthy vegan swiss carrot cake the best tasting carrot cake I’ve made. And not only is it vegan, it is actually made very quickly and easily without lots of fancy ingredients or equipment. 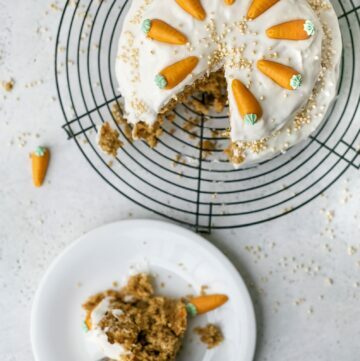 Maybe you never made carrot cake because you think it is more complicated than other cakes? Not true! 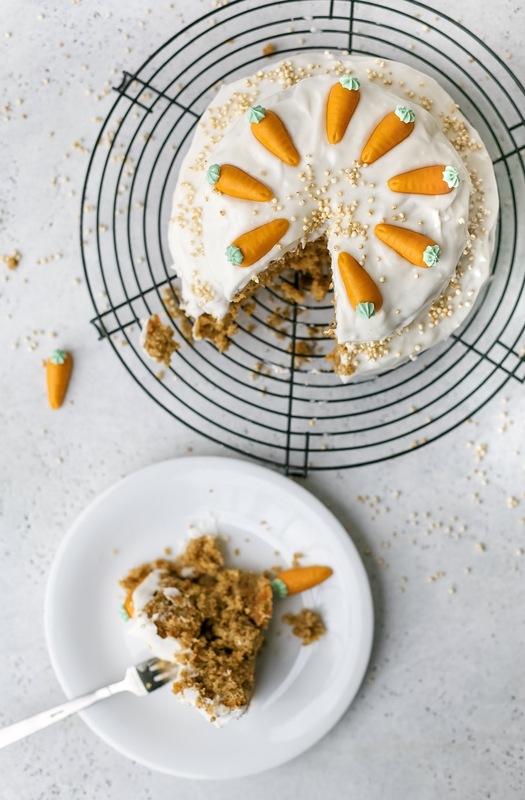 Once you realize how easy it is to make this healthy vegan carrot cake from scratch, you’ll want to make it over and over again. 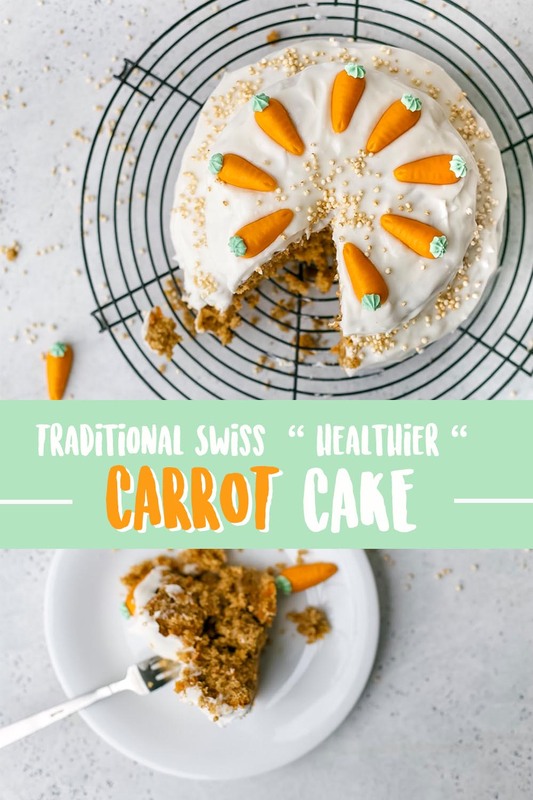 If you have time I recommend making this healthy vegan swiss carrot cake while you are reading this. 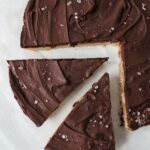 Otherwise (you better come up with a good excuse), you can save the picture below to your Pinterest board and find the recipe later. 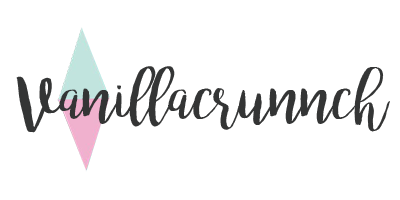 Make sure you check out my Pinterest profile Vanillacrunnch if you are interested in seeing all my Pinterest boards for inspiration. 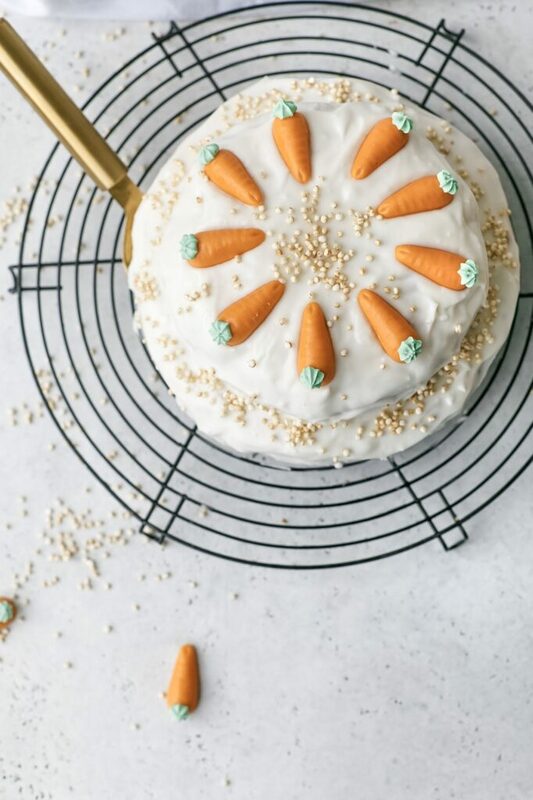 I am looking forward to seeing your carrot cake creations on Instagram (Tag me @vanillacrunnch ) or you can use the hashtag #bakingwithvanillacrunnch or and leave a comment here and put a smile on my face. In a medium bowl, combine the grated carrots with the sugar, grounded almonds, sunflower oil, milk, vanilla, cinnamon, nutmeg and salt. In another bowl combine the spelt flour with the baking powder. Gradually add to the carrot mixture in the other bowl until well combined. For the icing, combine all ingredients and spread on the cake. If the mixture is too liquid put in the fridge for some minutes or/and add more powdered sugar. Hi, I love carrot cake, I believe is one of my favourite cakes of all times. 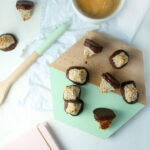 Can I use oat flour instead of spelt? Thank you!